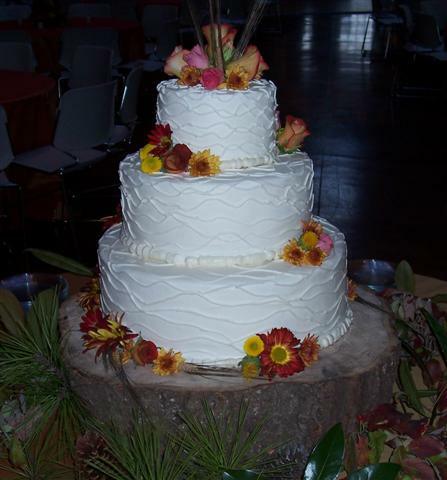 This is a cake I did several years ago for a Fall wedding. The bride had seen another cake I had done with this “string” design and thought It looked like bark on a tree and she loved it. The base/cake stand she wanted to use for the cake to give it a rustic look was a large slice of real wood so this design went well with it. Fresh fall flowers and greens were added for a finished look.